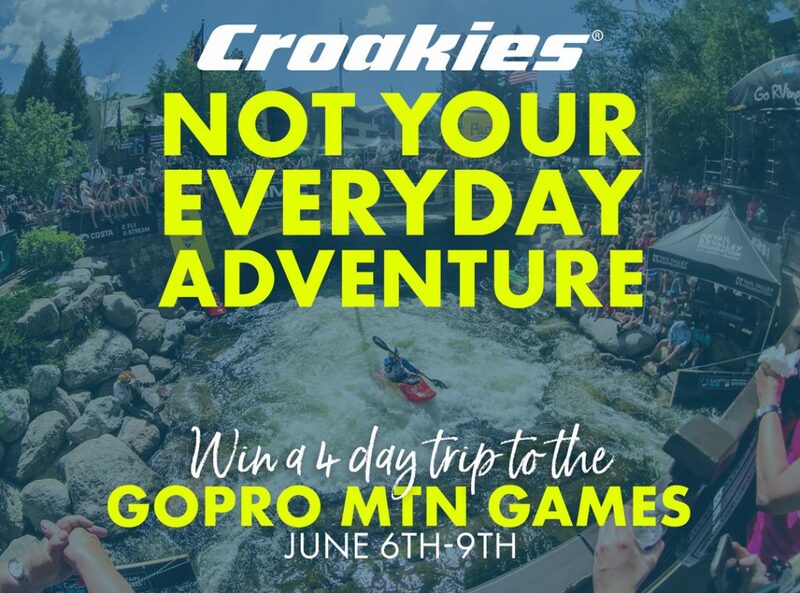 Croakies, original manufacturer of industry-leading outdoor retention products and outfitter of “Life’s Everyday Adventures” since 1977, announces the return of the widely successful Not Your Everyday Adventure contest, sending one lucky winner and a guest on an all-expenses-paid VIP experience to join Croakies at the 2019 GoPro Mountain Games (June 6-9 in Vail, Colo.). About Croakies: Often imitated but never duplicated, the original Croakies were invented in 1977 by a local ski patrolman from Jackson Hole Mountain Resort in Wyoming. Today, Croakies products are still proudly designed amidst the mountains of the American West, with most of its production in Bozeman, Montana. With Yellowstone and Grand Teton National Parks as a backyard, the brand’s inspiration remains unchanged: to create best-in-class retention products that inspire everyday adventure and provide comfort, style, durability, and functionality to active people of all ages. For more information about Croakies and its latest product line, please visit croakies.com or follow the brand on Instagram, Facebook, and Twitter using @croakies. Croakies is part of the Hilco Vision portfolio of brands. About the GoPro Mountain Games: Each June the GoPro Mountain Games brings athletes, art, music, and mountains together in Vail, Colorado, to create the best all-around mountain experience available anywhere in the world. Founded in 2002, the family-friendly event now hosts more than 3,000 pro and amateur athletes in 12+ disciplines and 30+ events, plus three nights of free concerts at the GoPro Mountains of Music at the Gerald R. Ford Amphitheater. The event is hosted by the Vail Valley Foundation, in partnership with GoPro, the Town of Vail, GMC, Go RVing, L.L.Bean, Yeti, and media partners Outside Magazine and Outside TV.